For some people reading the book on the left would be torture. For others, listening to the one on the right (like me!). I pulled a number of comments out of spam. But I cannot find any thing in the comment section of settings to fix the problem…. 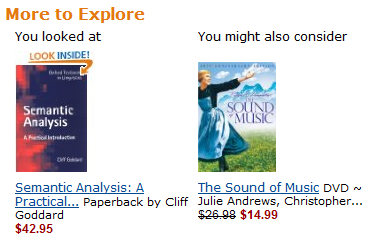 If I had more money I would buy weird pairings of stuff from Amazon just so people would get weird recommendations like that.